Drive home in the Chrysler, Dodge, Jeep, RAM you’ve been searching for within your budget with the extensive inventory of pre-owned and certified pre-owned models at Old Saybrook Chrysler Dodge Jeep RAM. We want to ensure a quality used model, that’s why we thoroughly inspect each model. Our team will help you find the Jeep Wrangler JK or pre-owned Dodge Durango you’ve been searching for with all of the features you want when cruising the New London streets all while helping you save. 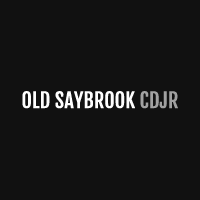 At Old Saybrook Chrysler Dodge Jeep RAM we also offer pre-owned vehicle specials you’ll want to look through to save even more on the new-to-you vehicle you’ve been looking for. REDUCED FROM $18,500!, PRICED TO MOVE $1,800 below Kelley Blue Book!, FUEL EFFICIENT 24 MPG Hwy/17 MPG City! Extra Clean. Sunroof, Heated Seats, Alloy Wheels, Dual Zone A/C, iPod/MP3 Input, 4x4, TRANSMISSION: 8-SPEED AUTOMATIC (845R... KEY FEATURES INCLUDE 4x4, iPod/MP3 Input, Aluminum Wheels, Dual Zone A/C Rear Spoiler, MP3 Player, Privacy Glass, Keyless Entry, Steering Wheel Controls. OPTION PACKAGES QUICK ORDER PACKAGE 23Z ALTITUDE Engine: 3.6L V6 24V VVT Flex Fuel, Transmission: 8-Speed Automatic (845RE), Body Color Claddings, Gloss Black Fascia Applique, Body Color Grille w/Platinum Accent, Altitude Package, Body Color Shark Fin Antenna, Dual Bright Exhaust Tips, 1-Yr, SIRIUSXM Radio Service, SIRIUSXM Satellite Radio, 1 year SiriusXM Radio Service, For more information, call 800-643-2112, Not available w/AK, HI, Puerto Rico, St, Thomas/Virgin Islands, Barbados, Dominican Republic and Guam, Cargo Compartment Cover, Heated Front Seats, Universal Garage Door Opener, 115V Auxiliary Power Outlet, Remote Start System, Power Liftgate, Heated Steering Wheel, Security Alarm, Jeep Black Gloss Badging, Black Headlamp Bezels, Rear View Auto Dim Mirror w/Microphone, Uconnect Access, 6 month, SINGLE PANE POWER SUNROOF, SINGLE DISC REMOTE CD PLAYER, ENGINE: 3.6L V6 24V VVT FLEX FUEL (STD), TRANSMISSION: 8-SPEED AUTOMATIC (845RE) (STD). Jeep Altitude with Deep Cherry Red Crystal Pearlcoat exterior and Black interior features a V6 Cylinder Engine with 290 HP at 6400 RPM*. EXPERTS RAVE Edmunds.com explains Off-road Great Gas Mileage: 24 MPG Hwy. A GREAT VALUE Was $18,500. This Grand Cherokee is priced $1,800 below Kelley Blue Book. Approx. Original Base Sticker Price: $31,500*. Pricing analysis performed on 4/8/2019. Horsepower calculations based on trim engine configuration. Fuel economy calculations based on original manufacturer data for trim engine configuration. Please confirm the accuracy of the included equipment by calling us prior to purchase. Superb Condition, LOW MILES - 31,790! FUEL EFFICIENT 28 MPG Hwy/21 MPG City! Back-Up Camera, 4x4, Flex Fuel, Supercharged, Turbo, RADIO: UCONNECT 8.4, TRANSMISSION: 9-SPEED 948TE AUTOMATIC... Alloy Wheels, SIRIUSXM SATELLITE RADIO KEY FEATURES INCLUDE 4x4, Back-Up Camera, Supercharged, Turbocharged, Flex Fuel. Rear Spoiler, Privacy Glass, Keyless Entry, Child Safety Locks, Steering Wheel Controls. OPTION PACKAGES RADIO: UCONNECT 8.4 Nav Capable! See Dealer For Details, GPS Antenna Input, (Registration Required), Uconnect Access, 8.4 Touchscreen Display, Remote USB Port, SIRIUSXM SATELLITE RADIO For More Info Call 800-643-2112, No Satellite Coverage w/AK/HI, TRANSMISSION: 9-SPEED 948TE AUTOMATIC 1 SPEED PTU (STD). Jeep Latitude with Bright White Clearcoat exterior and Black interior features a 4 Cylinder Engine with 184 HP at 6400 RPM*. Non-Smoker vehicle. VEHICLE REVIEWS The Cherokee features one of the better backseats in the compact crossover class. Not only does it recline, but it also provides for fore-and-aft adjustment, and the high-mounted bench supports adults' thighs without pushing their heads into the rafters. -Edmunds.com. Great Gas Mileage: 28 MPG Hwy. AutoCheck One Owner WHO WE ARE All preowned vehicles are covered by the Lorensen Advantage Pre-Owned Vehicle Warranty We give you a 6 month 6,000 mile warranty at no cost to you on any pre-owned Acura, Honda, Toyota, Scion, Chrysler, Dodge, Jeep, Ram or Hyundai that sells for over $15,000 before sales tax, registration fees or any operational Pricing analysis performed on 4/11/2019. Horsepower calculations based on trim engine configuration. Fuel economy calculations based on original manufacturer data for trim engine configuration. Please confirm the accuracy of the included equipment by calling us prior to purchase. Excellent Condition, LOW MILES - 37,199! WAS $26,500, $300 below Kelley Blue Book!, FUEL EFFICIENT 24 MPG Hwy/17 MPG City! Nav System, Moonroof, Heated Leather Seats, 4x4, Power Liftgate, iPod/MP3 Input, Back-Up Camera, Heated Rear Seat KEY FEATURES INCLUDE Leather Seats, 4x4, Power Liftgate, Heated Driver Seat, Heated Rear Seat, Back-Up Camera, iPod/MP3 Input, Aluminum Wheels, Remote Engine Start, Dual Zone A/C, Heated Seats, Heated Leather Seats Rear Spoiler, Remote Trunk Release, Keyless Entry, Privacy Glass, Child Safety Locks. OPTION PACKAGES RADIO: UCONNECT 8.4 NAV SIRIUSXM Travel Link, HD Radio, GPS Navigation, Uconnect Access, For Details Visit DriveUconnect.com, 8.4 Touchscreen Display, Roadside Assistance & 9-1-1 Call, Integrated Voice Command w/Bluetooth, SIRIUSXM Traffic, POWER SUNROOF, QUICK ORDER PACKAGE 23H Engine: 3.6L V6 24V VVT, Transmission: 8-Speed Automatic (845RE), High Pressure Tires Tracking, TRANSMISSION: 8-SPEED AUTOMATIC (845RE) (STD), ENGINE: 3.6L V6 24V VVT (STD). Jeep Limited with Granite Crystal Metallic Clearcoat exterior and Black interior features a V6 Cylinder Engine with 290 HP at 6400 RPM*. VEHICLE REVIEWS Edmunds.com explains If you want a midsize SUV that does a little of everything, the 2015 Jeep Grand Cherokee is the way to go. Its well-trimmed cabin is comfy for five, and it's one of the few remaining utility vehicles that can handle both off-road trails and daily commutes.. Great Gas Mileage: 24 MPG Hwy. A GREAT VALUE Reduced from $26,500. This Grand Cherokee is priced $300 below Kelley Blue Book. Approx. Original Base Sticker Price: $39,100*. OUR OFFERINGS All preowned vehicles are covered by the Lorensen Advantage Pricing analysis performed on 4/15/2019. Horsepower calculations based on trim engine configuration. Fuel economy calculations based on original manufacturer data for trim engine configuration. Please confirm the accuracy of the included equipment by calling us prior to purchase. ONLY 42,943 Miles! PRICE DROP FROM $31,225, PRICED TO MOVE $2,900 below NADA Retail! Nav System, Leather, Hitch, REMOTE START SYSTEM, Aluminum Wheels, Satellite Radio, Brake Actuated Limited Slip Differential, 4x4, Running Boards KEY FEATURES INCLUDE 4x4, Running Boards, Satellite Radio, Aluminum Wheels, Brake Actuated Limited Slip Differential. Privacy Glass, Keyless Entry, Child Safety Locks, Steering Wheel Controls, Rollover Protection System. OPTION PACKAGES DUAL TOP GROUP Premium Black Sunrider Soft Top, Black 3-Piece Hard Top, Rear Window Defroster, Delete Sunrider Soft Top, Freedom Panel Storage Bag, Rear Window Wiper/Washer, BLACK, LEATHER TRIMMED BUCKET SEATS Heated Front Seats, Front Seat Back Map Pockets, Driver Height Adjuster Seat, TRANSMISSION: 5-SPEED AUTOMATIC (W5A580) Hill Descent Control, Tip Start, RADIO: 430N SIRIUSXM Travel Link, 6.5 Touchscreen Display, GPS Navigation, 40GB Hard Drive w/28GB Available, Remote USB Port, ALPINE 9-SPEAKER W/ALL WEATHER SUBWOOFER Amplified 552W 9 speaker, including subwoofer, CONNECTIVITY GROUP Uconnect Voice Command w/Bluetooth, Vehicle Information Center, Remote USB Port, Tire Pressure Monitoring Display, TRAILER TOW GROUP Class II Receiver Hitch, Trailer Tow w/4-Pin Connector Wiring, REMOTE START SYSTEM, AIR CONDITIONING W/AUTO TEMP CONTROL Air Filtering, Humidity Sensor, ENGINE: 3.6L V6 24V VVT (STD). Non-Smoker vehicle, Clean Autocheck report! Autocheck1-Owner. EXCELLENT VALUE AutoCheck One Owner Was $31,225. This Wrangler Unlimited is priced $2,900 below NADA Retail. Pre-Owned Vehicle Warranty We give you a 6 month 6,000 mile warranty at no cost to you on any pre-owned Acura, Honda, Toyota, Scion, Chrysler, Dodge, Jeep, Ram or Hyundai that sells for over $15,000 before sales tax, registration fees or any operational Pricing analysis performed on 4/8/2019. Horsepower calculations based on trim engine configuration. Please confirm the accuracy of the included equipment by calling us prior to purchase. Contact our finance department to get the process started. Or learn more about our models to find the right one for you, your commute, and your budget by contacting us at Old Saybrook Chrysler Dodge Jeep RAM today!